It’s possible to make a game with no cost at all, although you probably end up paying some money soon or later to a publisher, Google Play, Apple Store, Steam… but lets leave that for when out game is finished since it’s an understandable charge. Right now we have to optimize the costs and there is a great full list of must-have software you need to have installed to make it. With that, you can produce any quality content and reach it with just time and practice. Godot is an open source engine, which means you will be 100% owner and responsible of what you do with your finished games. Still in its last versions the engine has improved a lot in all aspects, the 3D engine is separate from its 2D engine, which has rigging, animations, physics, shader language, and now even in adition of his own GDScript, it has C# support and Visual Scripting…. It has a good documentation site with everything you need to put you at work. It amazingly complete, moreover when it is an open engine. It’s worth the try and I like it to have it before the other two engines that we all already know. Unity is in a high level right now, close to unreal engine, it’s very easy to master and it has a huge community in both youtube with videos to learn / improve, and many cheap and free assets in the store to improve the quality of your games. My personal choice for android and 2d games right now. The only thing unity still doesn’t have and Unreal Engine does is visual scripting, which would be a plus, but from my point of view not an urgent feature to implement. Anyway, it appears in the last lines of the roadmap so it will be included soon or later (later i guess). You can go 100% free until the end of the development, and even in release, but it has some features restricted to Plus and Pro users. The most powerful and complete. It has great quality results even in the first steps of the development. It is 100% free until you start earning $3.000, then they will get 5% of them as a fee. There are infinite discussions about which painting program is better, and we are not going there right now. I personally always use Krita, I like the default David Revoy brush pack they put in Krita 4, and feel confortable painting with it. 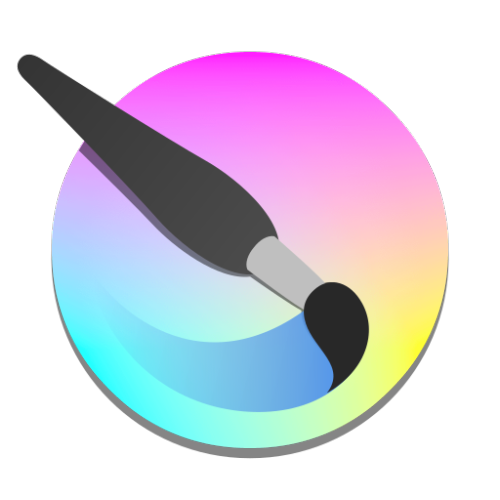 It has an integrated animator with an onion layer feature in it, so you can paint frame by frame animations with it. The are quite a few applications for painting pixel art sprites, but since i’m not very much into throwing pixels. I’ll just put in here what I know and let you try them. No-brain choice here. You can do everything you want in blender. It is a tough path to full master it, but with some good tutorials you can do the basics for games in a little time. Low polys, rigging, texture painting directly in the models, sculpting, generate PBR textures from the high poly. All for free. This is a must, every single or team dev should have some tools to have all the work organized. It is very important not to let an idea die. And we have tools everywhere for that lifecycle of an idea, from the time it hits your head anywhere to the time it finishes being an asset in your project. I like to use it for quick pin websites and check them later at home. It is great for write any idea you have in the mobile app. No need to explain, this is like having Office 365 and OneDrive but well made. Like in other categories there are many options but Trello is simple enough to cover you task an planning necesities. As a single developer, there is no need for Agile dev, gantt… For only having a list of tasks, bugs and future functionalities trello is enough. If like me, you are willing to use your own themes in your games. There is REAPER. An almost free DAW (Digital Audio Workstation) to create your own music. It is ‘almost’ free cause it is an evaluation version. But you can evaluate forever or until you pay for it. If you don’t want, just wait for the first popup to close and enjoy the DAW.